Our Company offers Complete Fencing Services Blaine, MN. This means that we offer the local area any fencing service needed. Whether you need to replace your old fencing, install a new fence or extend your fence perimeter; our company is well qualified and happy to take your call. For a free estimate on all our Blaine Fencing Services contact us by calling (763) 755-0088. Fence Replacement – Has your current fence seen it’s day? Don’t get stuck worrying if your dogs got out due to a weak fence. Instead give us a call and we can give you a free estimate on your specific fence replacement needs. Old, weathered and unstable fences can cause more than just worry in your daily life too. They can also be a liability. Whether it’s a neighborhood kid trying to jump your fence for their ball or someone innocently leaning on your fence. If it falls, injuries are possible. Better be safe than sorry – call Arrow Fence today! New Fence Installation – If you desire a fence, Arrow Fence Co is a Blaine Complete Fencing Company you should not overlook. Our 50 plus years of experience in this local area ensures we have what it takes to complete the project to your specifications. 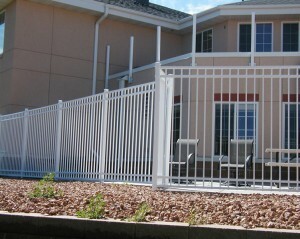 Not only do we offer custom fencing designs, we also offer a 5 YEAR WARRANTY for all our fence installation services. 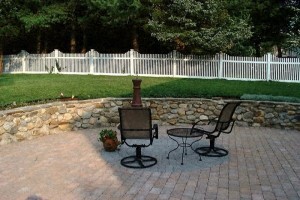 Extending Current Fence – Wanting a little (or a lot) more room in your fenced yard? Our fencing contractor can extend the area your fence encloses. We always check city codes and ensure that they are followed with every fencing service. If your current fence is steady and secure we can affordably add more leg room without needing to replace your entire existing fencing. Talk to us about your specific fencing plans and we can ensure the addition goes smoothly. Regardless of your property type, Arrow Fence Co will deliver outstanding results. Look at our Facebook Reviews and give us a call for a free, no obligation estimate on all your fencing needs today at (763) 755-0088.